So I have been hyped about seeing this movie since I saw the preview below on Bella Naija. The synopsis of the movie: “In what seems like a perfect life, three beautiful women who are pushing thirty make bold attempts to change their lives even when destiny plays its joke on them. With a marriage that seems almost doomed from the beginning, to an affair with an unlikely candidate and the endless pursuit of love, three friends will learn the harsh lessons of life, the challenges of marriage, the fatality of falling in love and the rewards of having a good laugh in the mist of sorrow." I saw this movie and was blown away. It is 9/10 by African standards. 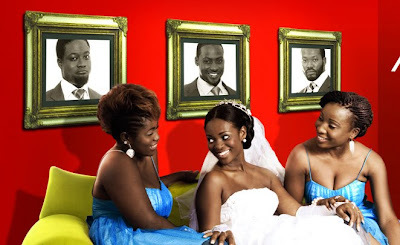 It revolves around 3 friends and thier love-lives in modern day Ghana. 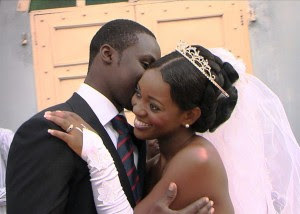 It stars Jackie Appiah, Lydia Forson, Naa Ashorkor Mensah-Doku, Chris Attoh, Adjetey Annang, Nana Kwame Osei-Sarpong and KSM. It adds to an increasing genre of African Romantic comedy, not melo-dramatic over-the-top romance that saturates Nollywood. 3)The soundtrack is on point. I was so hooked that I went to download one of the songs called "Obi do wa a do ni bi"(love the one that loves you back) and I have been singing in Fante ever since! The only problem is that certain storylines are a blit cliche, and the main xter is outshined by the other ladies. Their stories are more intruiging and Lydia Forson who plays Dede(the wayward friend, yes there is always one, and we all have one) does an excellent job! It also tends to dragg onnnnnn, a bit and I got inpatient after a while. Regardless, it is a must-watch for rom-com lovers, so grap your popcorn and enjoy! You can watch the movie HERE or HERE! 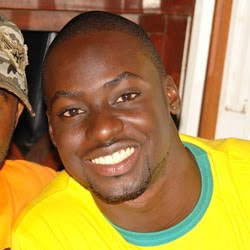 OMG...Chris attoh is hot..he plays kwame on Tinsel..the 1st multi cam naija soap opera on mnet..he is soooooo hottt!!!! Saw the movie.. Amazing for an african movie. story, quality of production and the actors/actresses. Definitely recomend! I don't know who will see this but I really want to purchase or download all the music on this movie. If you know where I could purchae this please say something. someone please respond!